Product prices and availability are accurate as of 2019-04-13 11:12:42 UTC and are subject to change. Any price and availability information displayed on http://www.amazon.co.uk/ at the time of purchase will apply to the purchase of this product. 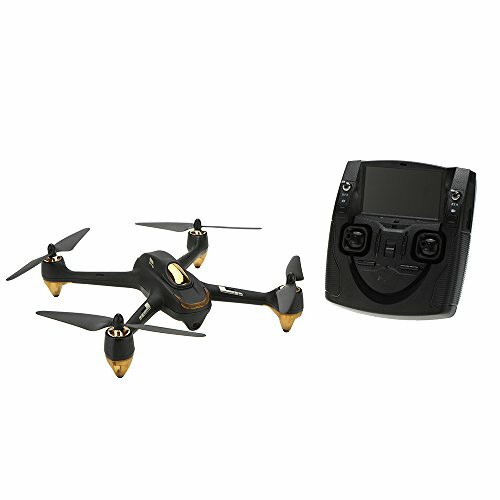 Hubsan x4 501s is an X4 configuration quadcopter with integrated 1080p video camera and included 4.3" FPV transmitter (radio controller). The flight controller has integrated GPS, enabling advanced autonomous features, such as follow me and automatic return. It is powered by four brushless motors with self-tightening propellers. The bundle comes ready-to-fly, only requiring four AA batteries for the transmitter to get started. 5.8G real-time FPV brings the world in front of you. With 1080P HD camera, allows you to take photos and record video. Automatic return home ensures that you can call back your quadcopter without any delay. Follow me function makes it easier to recording your life, just focus on your activities. The intelligent battery with large capacity extends the flying time last to 20 minutes.